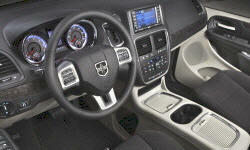 Need advice about a specific Dodge Grand Caravan problem? Chart based on 2570 repairs. 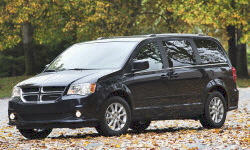 See TSBs and recalls for the Dodge Grand Caravan. Chart based on 1603 repair trips. The repair cost chart excludes repairs made under warranty, do-it-yourself repairs, and repair trips that include maintenance. Chart based on 2601 repair trips. 6-speed shiftable automatic FWD When we traded our car in on this van my wife and kids were not very happy. It didn't take them long to change their minds. The dealer installed DVD system has been great. The seating has been comfortable and the seats have maintained there level of comfort. Everybody has enjoyed the relative quite ride and the reclining seats second row bucket seats. The stow and go has been a huge convenience, but watch your fingers when folding the seats into the floor! We drove this thing all over North East TX, a trip to TN, we loaded it down when we moved to NC, more trips to TN and several to Baltimore and Annapolis MD. One things for sure, I would not hesitate to recommend this vehicle to anyone. See our lemon odds and nada odds page to see vehicles with no repairs or vehicles with more than three repairs. To see how frequently Dodge Grand Caravan problems occur, check out our car reliability stats.